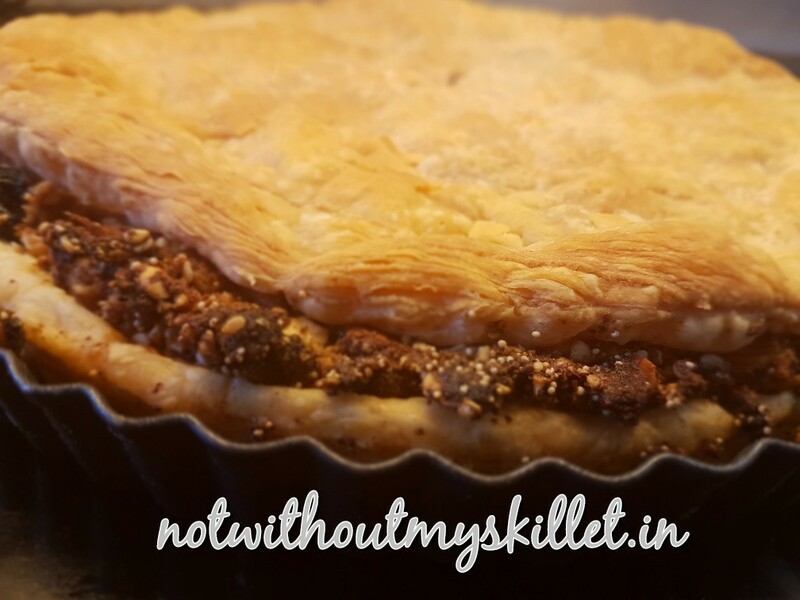 The slightly well done edges of the filling will add flavour! I don’t usually use ready-made pastry, but this phyllo was sitting in the deep freeze for the past three months, and was begging to be used! Given that I was cooking for a chaat party that called for Pani Puri, Bhel and Ragda Pattice, I did have my hands full and could do with saving three hours of my kitchen time! Sadly I pulled it out way before time and couldn’t separate the layers as I would have liked to. I thus rolled it and give it a crunchy pastry base! 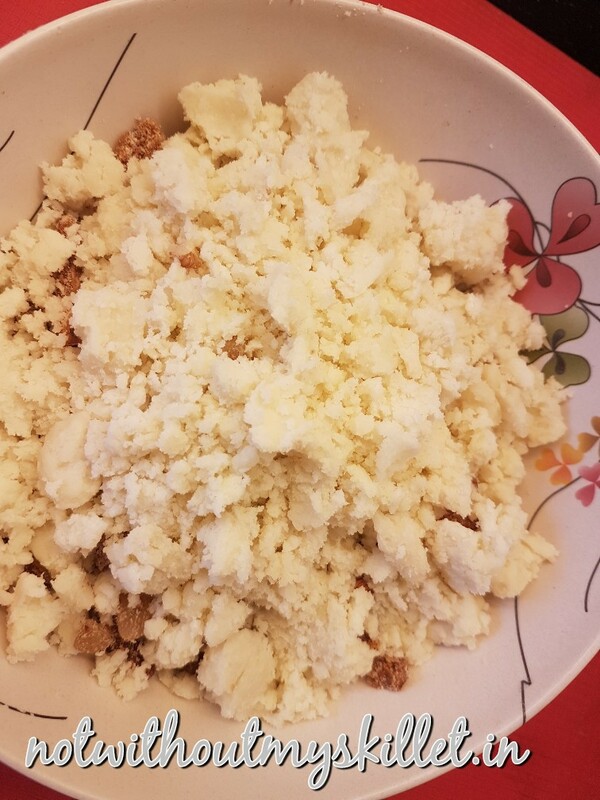 Should you want to go all healthy, you could make a base with almond meal or almond flour and add just a wee bit of cornflour to it. 1. Pre-heat the oven to 180 degree centigrade. 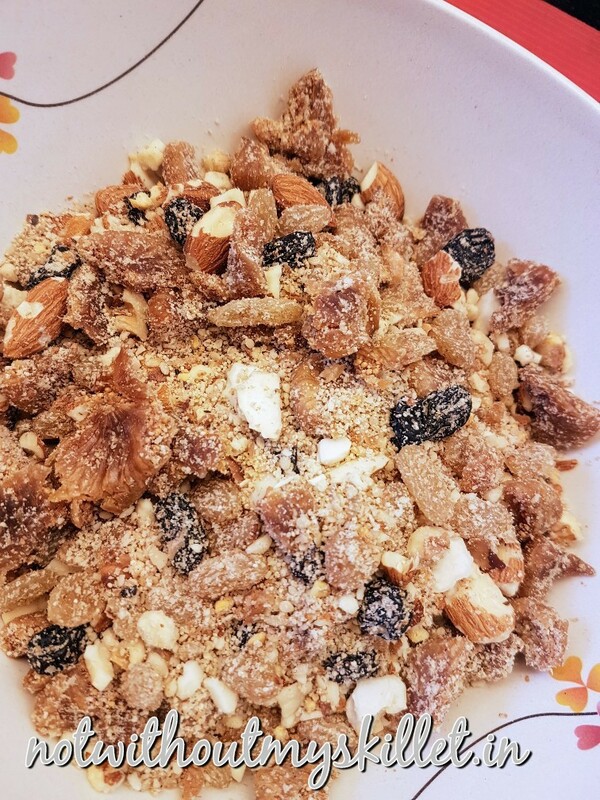 The dry fruit needs to be pulverised such that it still has a bite on it! 2. Grind together all the ingredients except for the mawa, and powders. Place all of this in a deep bowl. Add the khoya and mix it by hand! That’s the only way to this awesomeness! 4. Cut the pasty dough into 4 equal halves. Roll out one half on a well floured surface. And another too. 5. Brush your pie dish with the ghee and cover it with the rolled out pastry. Add half the filling and cover it with the second rolled pastry. 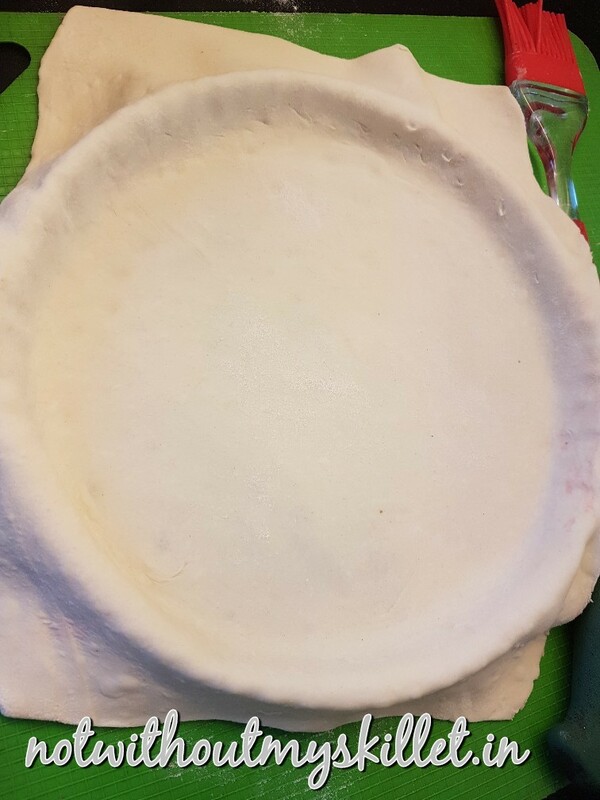 Make the bottom layer fairly thin, but remember to not put too much pressure when you’re rolling the pastry out. 6. Brush the top with ghee. 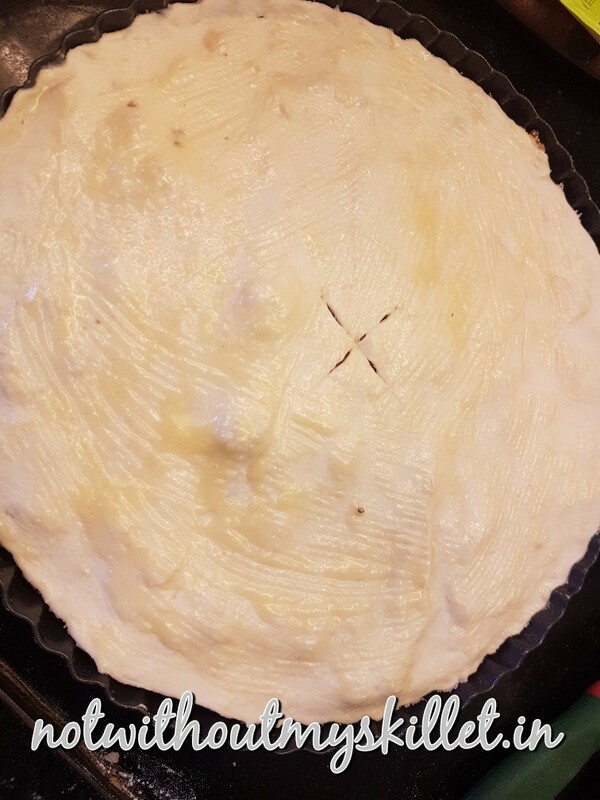 Make a cross-cut in the centre of the top and bake for 35 minutes at 180 degree centrigrade. 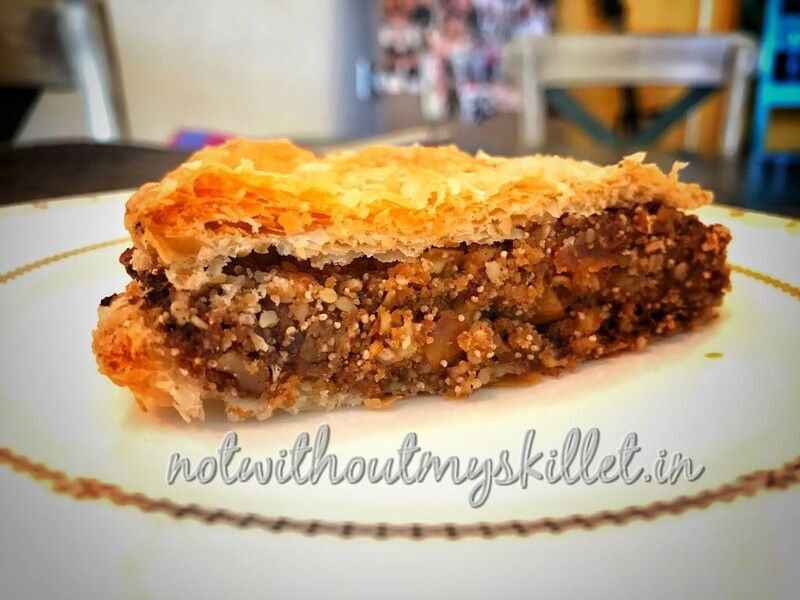 You could brush your pie with milk too, but I prefer the taste and crispness from ghee. The cross mark on top lets the trapped air escape while its baking and gives you a crisper top. 7. When the top is golden and the pie has opened up to reveal it layers, take it out of the oven and let it cool down. 8. Serve it cold. You could add ice cream to it, if you wish. Given the occasion I would have gone with a thandai ice cream. But it’s just as beautiful without it too! 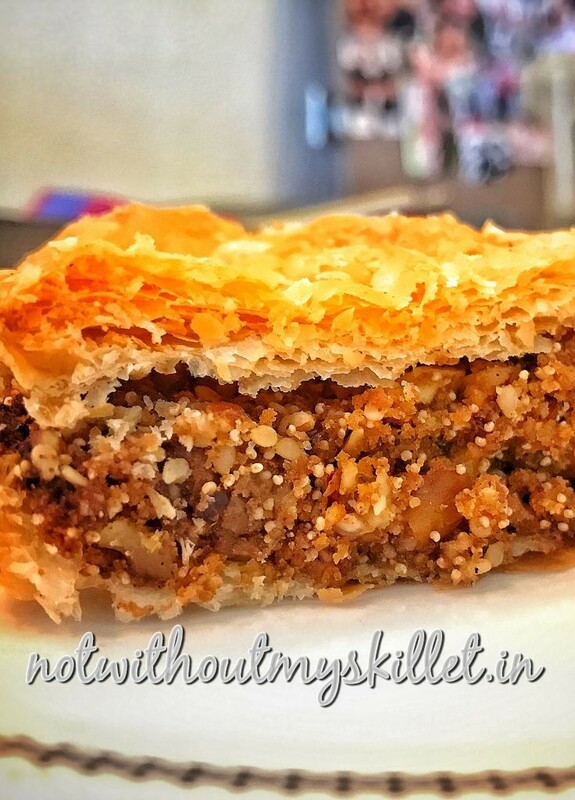 The beauty of the mawa and dry fruits pastry, without the sweetness of added sugar!